Preview of Microsoft Quantum Development Kit gives a preview of what could soon be possible. If you always wanted to write applications for quantum computers, today is your lucky day. Microsoft has just released a preview version of a development kit designed for just that. The free preview of the new Quantum Development Kit includes the Q# programming language, a quantum computing simulator, as well as other necessary resources. Q# itself is a completely new programming language designed especially for quantum machines. It has four key features with the first and foremost being that it’s designed for developers looking to learn programming for quantum machines. It is integrated into Visual Studio, which means that if you worked with this integrated development environment, you will be familiar with the development kit. 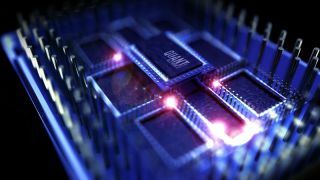 It is designed to work with a local quantum simulator, also released with the kit, which is capable of simulating roughly 30 logical qubits on a standard laptop machines. This will allow devs to debug code and test programs on their own machines. There is also a cloud-based, Azure-based sim for large-scale challenges, as well. This one can simulate more than 40 logical cubits of computing power. Microsoft said it is pairing this kit with a “comprehensive suite of documentation, libraries and sample programs”, laying the necessary groundwork for everyone interested in making their first steps in developing for quantum computers. More details about the kit can be found on this link.